At this is the time of year we speak with a lot of applicants who are just starting their school research process. How do many of them start? By cracking open the U.S. New rankings or BusinessWeek rankings and going down the list. Sound familiar? The fact of the matter is that how many of us do it, right or wrong! One big problem is that many applicants never look deeper to consider what their immediate job opportunities will be when they graduate. Of course, when you walk out of a top-ranked school with an MBA, the world is your oyster, and your job opportunities aren’t limited just to the schools that recruit on campus. But, every year we talk to many students and recent grads who are disappointed that job opportunities in their industry/function of choice weren’t more readily available through traditional on-campus recruiting. And, at lower-ranked schools, you sometimes need to be even more careful. There are dozens of terrific regional programs, but if you attend one and end up disappointed that it didn’t help you land a Wall Street banking job, then you may have no one to blame but yourself. As we told the Financial Times a few months ago, you need to begin with the end in mind. One of the best ways to start researching top MBA programs is to download our Veritas Prep Annual Reports, 15 completely free guides to the world’s top business schools. And, be sure to subscribe to this blog and follow us on Twitter! Five New Annual Reports Available! Two weeks ago we introduced Veritas Prep Annual Reports, in-depth insider’s guides to the world’s most competitive MBA programs. We started out with ten Annual Reports, and at the time we said that there were five more on the way. Those five are now available for free download! 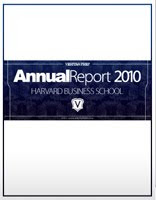 To purchase all 15 reports, just visit the Veritas Prep Annual Reports page. You’ll receive an email including your download link, which you can use to access the reports. For more help in the MBA admissions process, visit veritasprep.com or call us at 800-925-7737 and speak with an admissions expert today! This past Friday we announced the launch of the best resource that we’ve ever created for business school applicants: Veritas Prep Annual Reports, in-depth guides to ten of the world’s top business (with five more soon to follow). Response has been phenomenal so far, with hundreds and hundreds of reports already downloaded. While we thrilled with (and humbled by) how quickly they’ve taken off, we’ve received these questions a few times already: Why did we create our Annual Reports? How are these different from what’s already “out there,” on school web sites, in brochures, etc.? The answer is simple: When you research multiple top schools, pretty quickly they all start to sound the same. And, believe it or not, the schools themselves often unwittingly contribute to this problem! In the MBA admissions process, a lot of emphasis is placed on knowing yourself — your personal beliefs, your philosophy in how you approach your work, and your post-MBA plans and dreams all contribute to the case that you build in your MBA applications. This emphasis is well placed, since there’s no way to truly show admissions officers who you are (and make them want to admit you) without first understanding what makes you tick. While many applicants fail to demonstrate enough self-awareness, the challenge that you’re even more likely underestimate is building a deep enough understanding of each of the business schools in which you are interested. Think about it: You have had more than 20 years to get to know yourself, and although self-reflection is challenging and sometimes uncomfortable exercise, you have plenty of material to work with. When researching business schools, though, you’re probably starting from scratch.